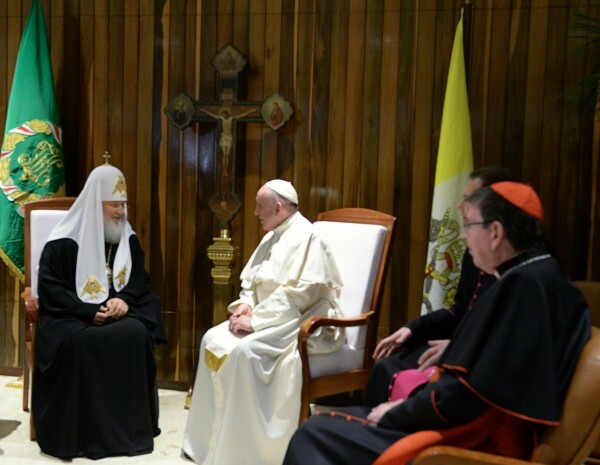 Patriarch Kirill and Pope Francis met in Havana, Cuba for a historic meeting between the two churches, pledging to come together for the future of Christianity. 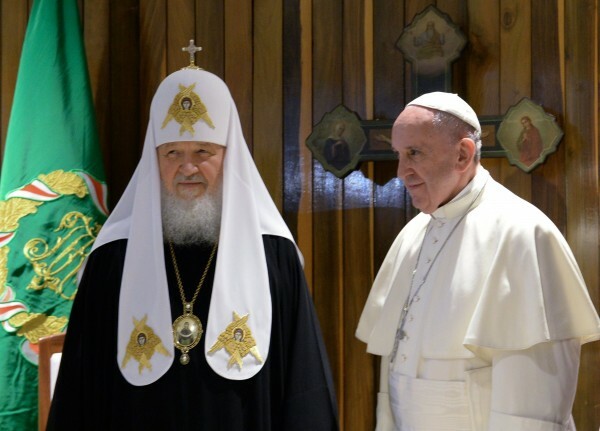 Following the meeting, Pope Francis said Patriarch Kirill was open and in the spirit of unity. 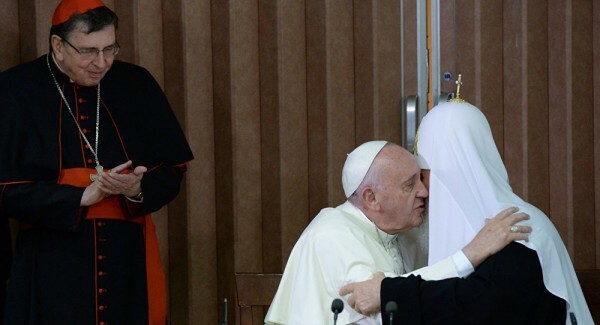 “We spoke as brothers, we have the same baptism, we are bishops, we spoke of our churches,” he said. The document also addressed the problems of capitalism. 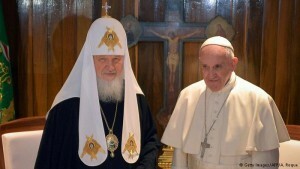 Patriarch Kirill and Pope Francis agreed that Europe should remain true to its Christian roots. 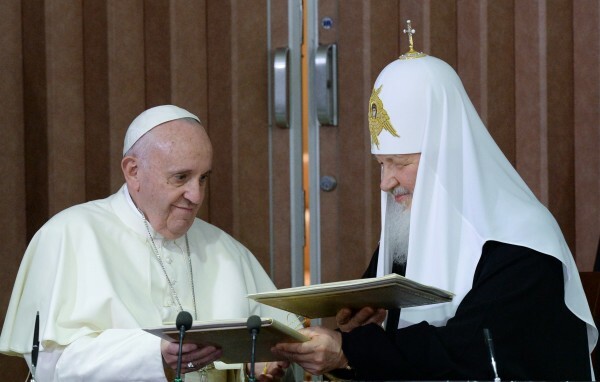 “While remaining open to the contribution of other religions to our civilization, it is our conviction that Europe must remain faithful to its Christian roots,” the document reads. 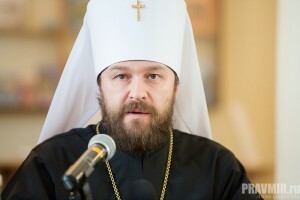 The document also addresses the crisis in Ukraine. With the Syrian conflict threatening to push the world to the brink of war, the document calls on all Christians to pray for peace. 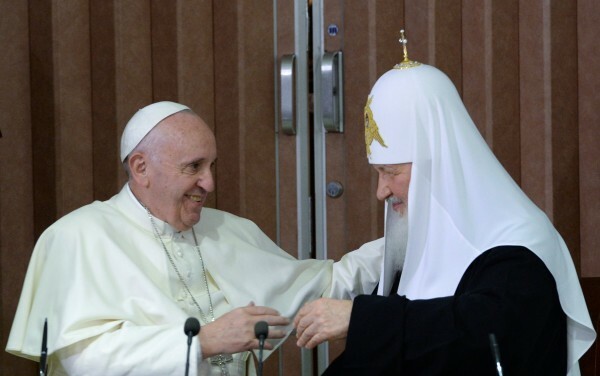 Friday’s meeting marks the first time that leaders of the Roman Catholic and Russian Orthodox churches have met in nearly 1,000 years. 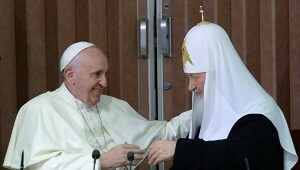 The two broke apart over theological differences in 1054, officially separating in 1438.